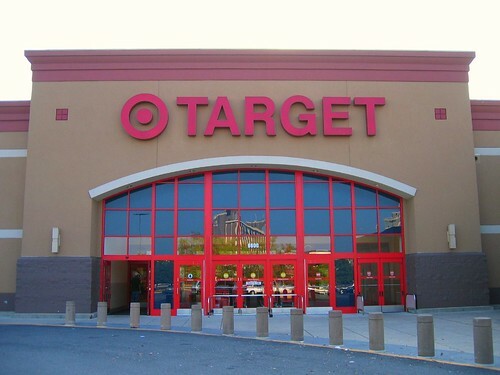 Back in January big box retailer Target bought out Zellers stores in Canada for $1.8 billion. Formerly a Hudson’s Bay Company property, select Zellers stores across the country will begin a changeover to become Target stores by 2013. To many, Target has a better image than other big box or discount stores. It has been a destination for well-priced clothing, swimwear, toys, grocery items, and more for years. Even when I moved to Boston in 2002 I took full advantage of their particle-board bedroom sets and ‘bed in a bag’ bargains to furnish my room. They have brand-name items but, as you may usually find across the border, at better price points than you can find in Canada (even with a poor exchange rate at times). Zellers on the other hand, has also always been a Canadian staple. Gardening supplies, toys, shampoo, stuff for the kids, and everything in between that you could stuff into a shopping cart. Some of the Target brands that you can pick up in Bellis Fair may not be available in Canada though, due to different suppliers and regulations. I know that Keira won’t be able to pick up her Jif peanut butter and I won’t be able to get Dunkin Donuts coffee beans for my mom. You also won’t see boxes of wine in the grocery aisle. With all of this, are Canadians going to miss Zellers? After all, it has been American-owned since 2008. Zellers has definitely fallen in image over the years. The one in Maple Ridge is always dirty, messy and cluttered. I’m glad that Target is stepping in, wonder how that particular mall (Haney Place) will do with a Target instead of a Zellers. They were supposed to get a LARGE sum of money to upgrade the mall too. Perhaps with the Target, they will be able to renovate it? Zellers at Scottsdale Mall has been pretty bad for ages, so anything that can improve the store and make it more presentable and enticing must be a good thing. It is probably sad to see Zeller’s going, although I haven’t much sentimentality for it as I have only been in Canada for about 18 months. This may show how long it’s been since I’ve been by there, but did the Zellers at Brentwood Mall in Burnaby close some time ago? Since I don’t see it on the list above, I assume it did. The Zellers in my city is awful. I don’t know how it’s managed to stay open this long. I’m loyal to some Canadian companies, but Zellers has always struck me as being rather dumpy. I go into the States fairly regularly and Target is always on my “must visit” list whenever I’m there, but I’m very excited to have it nearby. I’m torn. My mom has been with company for 20 years this Spring. They have no idea if they will have jobs, if they have to re-apply. Nobody knows anything… so in the long run, how many are out of jobs? My mom is one of the most valuable employees at her store, but chances are they will get rid of the full timers, and keep the part timers. Mom is another 15yrs away from retirement, what is she supposed to do? I love Target, I love Zellers, but I can’t help but not look forward to this until I know my mom will have a job still once Target takes over. Hoping that the addition of Target will help revitalize downtown Maple Ridge. I used to shop at Zellers for basics and bargains but in the past several years, I much prefer Walmart. Target has such a massive selection and will offer everything I used to get at Zellers and so much more. So many Vancouverites go accross the border adn shop at the target at Bellisfair. Now we can keep that $$$ in Canada. I say…bring it! When I moved to Minneapolis in 2003, only then did I fully realize the importance of Target to the midwest. Having just moved from Germany, I experienced my first case of “reverse culture shock”, paralyzed by all that choice in the aisles, and standing numbly in the downtown Minneapolis Target at Nicollet and 9th. Personally I love to shop Canadian when ever possible, unfortunately Zellers has not run well for many years, shortages of stock, items in disarray, lack of customer service, and poor quality items. So I welcome Target to take their place. Unfortunately, Zellers is cheapo crapola. Target is innovative and fun – can’t wait for them to open!! In the past year Target has made substantial donations to anti-LGBT politicians. Google for more information. Maybe now Zeller’s will be taken care of properly… Do not miss it and probably won’t. Just heard that target is moving to the old HMV on robson!? Does anyone know if this is true? Hum so Brentwood’s not switching over? I have know knowledge of target but the Zellers in Scottsdale is so unloved by its staff. The place is a tip. I hope target turn it around ad make it a nice place to shop as at the moment it is filthy. Hands down, Target is a great improvement over Zellers. Zellers has always been cluttered and poorly serviced. I’ve always associated Zellers with cheap, not value. So glad a well-run company like Target is coming in… better quality, service and value. For some people the change will be painful like when they change Woolco’s for Walmart. But i think it’s gonna be better. Almost Zellers are dirt, old and the prices are not so much good. I just hope put the feet in a Target when i’m gonna back in Quebec this summer and see by myself that change. Yay! they are coming to my town. Zeller’s was awful, Target appears to be creative and fun! I won’t miss the Zellers stores, as they have deteriorated over the years. The staff (in Richmond) was unfriendly, not very knowledgeable. Hopefully, Target will be better, with better merchandise. Anyone know a firm date as to when target opens in Kelowna bc. Can’t wait!!!!!!!! The new Campbell River Target: WAY to many staff standing around looking bored because there are so few customers, which made sense when one bossy boss got in my face for taking pictures of vacuum cleaners so i could easily look up different brands online to research which is best. We turned around and went to the Walmart up the road. They were happy for me to take pics for research purposes. Target missed the mark. And Walmart sold me a vacuum cleaner. Not likely to return to Target.